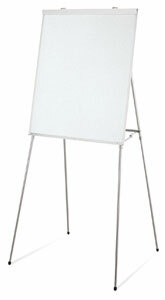 Both a white markerboard and a flipchart easel via spring-loaded pad holder. 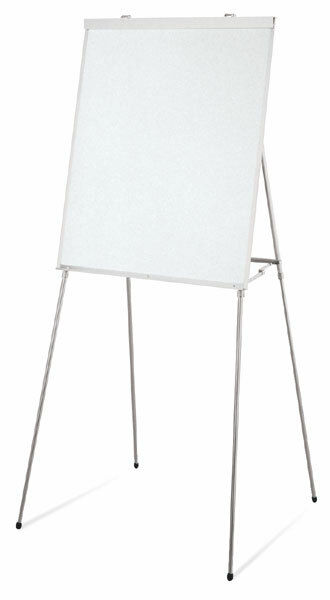 Sturdy aluminum easel with tray. Telescoping legs allow 3 height adjustments (from 36" to 72"), plus tabletop use. Folds compactly.